He was born and raised in California, the only child of an accelerator physicist father and an electrical-engineer mother who divorced when he was eight. Weir grew up reading classic science fiction such as the works of Arthur C. Clarke and Isaac Asimov. At the age of 15, he began working as a computer programmer for Sandia National Laboratories. He studied computer science at UC San Diego, although he did not graduate. He worked as a programmer for several software companies, including AOL, Palm, MobileIron and Blizzard, where he worked on the video game Warcraft II. I spend most of the day writing, and I work on weekend days, too. Not sure how many actual hours. I’ll guess about 50? I don’t read anywhere near as much as I’d like. It’s pretty much zero these days. It used to be an hour a day. I think anyone can become a writer. It’s like anything else: You do it long enough and you start to get good at it. In my case, I just kept writing stuff. My favorite thing: Knowing that people are reading my stories and enjoying them. Least favorite thing: Plodding forward when you’re unmotivated. Isaac Asimov. Just to experience how his mind works. Ummm... there are no comments? 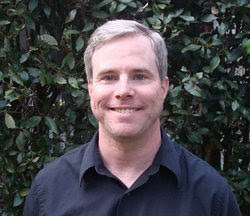 Andy Weir just stopped by. That is awesome! Great advice and great answers. Thanks! Oh goody, I didn't want to be the first! Always enjoy your 7 questions and the video was entertaining and informative. Thanks!